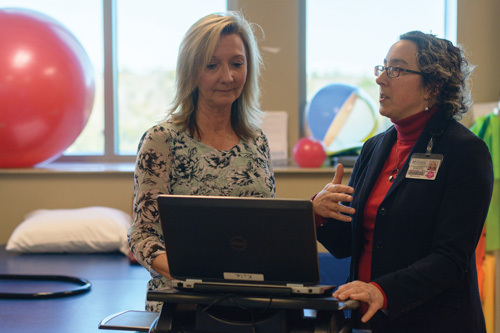 bodies benefit from an interdisciplinary approach to care at the Fixel Center for Neurological Diseases at UF Health. in the diagnosis and management of Lewy body dementia, or LBD. The Fixel Center is among only 24 centers nationwide honored with the designation. Melissa Armstrong, M.D., M.Sc., director of the Mangurian Clinical-Research Center for Lewy Body and Parkinson’s Disease Dementia at the Fixel Center, said the designation will allow her team to collaborate with other centers to share strategies for the early detection and diagnosis of LBD. LBD is a progressive brain disorder that presents with a variety of physical, cognitive and behavioral symptoms, including memory and thinking changes, trouble concentrating, slowed movements, walking difficulties and sleep disruption. LBD is an umbrella term for two related conditions: dementia with Lewy bodies, when dementia sets in prior to or at the same time as Parkinson’s symptoms; and Parkinson’s disease dementia, when dementia develops in a person who has had the disease for years. There is no cure for LBD, and although it’s the second-mostcommon form of dementia, it is frequently misdiagnosed or unrecognized. Ray Kassar, who died at age 89 from dementia with Lewy bodies in 2017, was among many who struggled to find answers before diagnosis. Ferguson said they had visited numerous doctors as they attempted to make sense out of certain symptoms before finally being referred to Armstrong by Kassar’s primary physician. 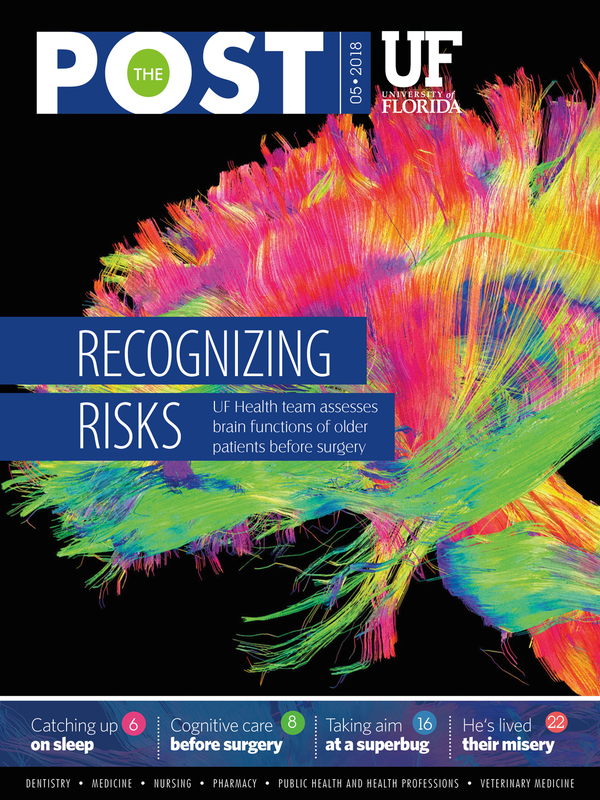 Inspired by the care Kassar received at UF, Ferguson and Kassar founded the Raymond E. Kassar Research Fund for Lewy Body Dementia at the University of Florida. education, expanding research and providing patients with high-quality, interdisciplinary care, which includes physical and occupational therapy, speech and language therapy, social work and neurological testing.